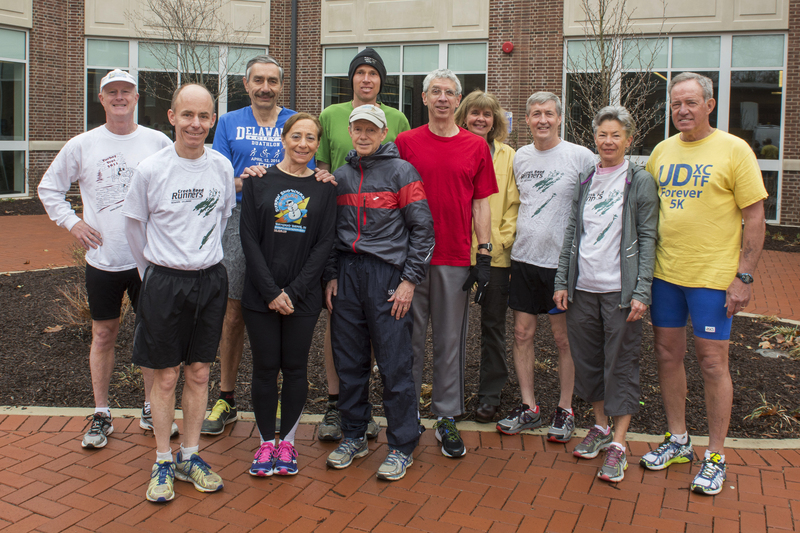 Runners and friends gathered on Friday to give an official farewell to CRR Dan Simmons and his wife, Sue. The event was highlighted by a simple out-and-back fun run of about 5K along Creek Road (where else? ), then those who could make it shared lunch with Dan and Sue at the Deer Park Tavern. They will be moving to California in the near future and will be missed. 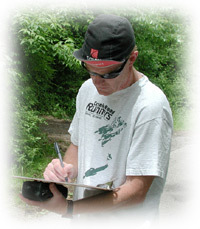 Simmons, a biology professor, retired from the University of Delaware recently. He holds the state record for his age-group (65-69) in the half-marathon with a 1:36:43 (and 20K, unofficially, with his half-marathon time). Though there was no smoke on the water or fire in the sky, one of our own fought through the pain in Switzerland this past weekend. 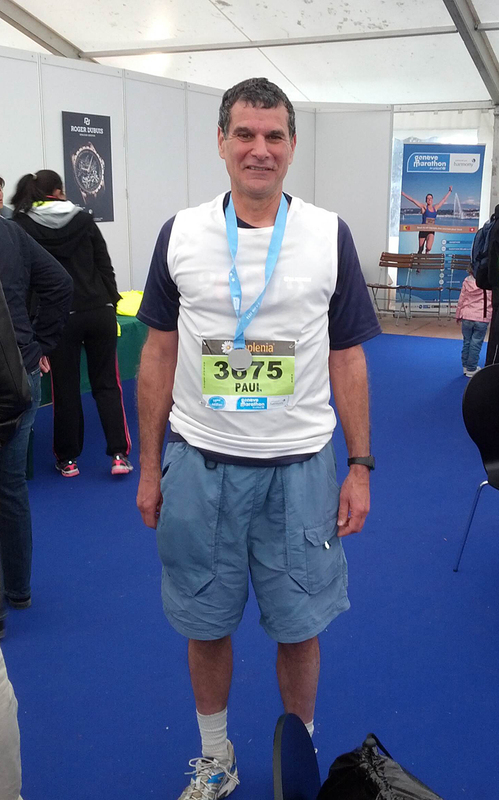 Despite pulling a hamstring, CRR Paul Amer limped the final 6 km to the finish line in the Geneva Half Marathon. Running for the Aseat Toulouse (that’s French for “Creek Road Runners”) team, Amer finished in 2:19:14. Congratulations to one of a kind! In other weekend news, CRR Dan Simmons placed 4th among the 65-69s in the Broad Street Run in Philadelphia yesterday, coming in with a very respectable 1:14:06. Simmons finished 2041st overall out of nearly 40,000 runners. Well done. Locally, in the Race Against Domestic Violence 5K, CRR Diane Kukich pulled out her lucky pink shoes and won the 60-64 age group in 24:01.